Taylor Smyth and William Fulghum Design Associates worked together on the redesign and modernization of this ultra-traditional house in the heart of Forest Hill. The interior was completely gutted and reorganized to provide a series of generous rooms for living and entertaining, incorporating the highest level of craftsmanship and attention to detail. 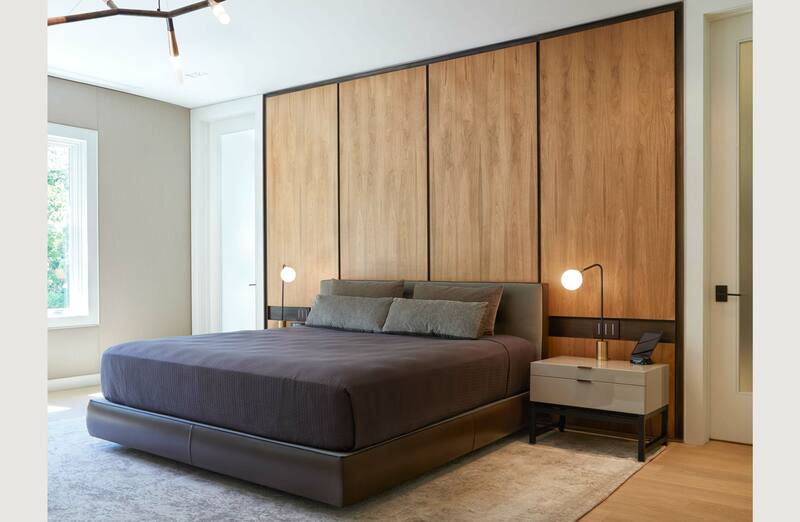 An elegant material palette of hand rubbed dark bronze, stone, leather, walnut and lacquered wood, and light oak flooring, creates a dramatic yet warm and inviting domestic environment. 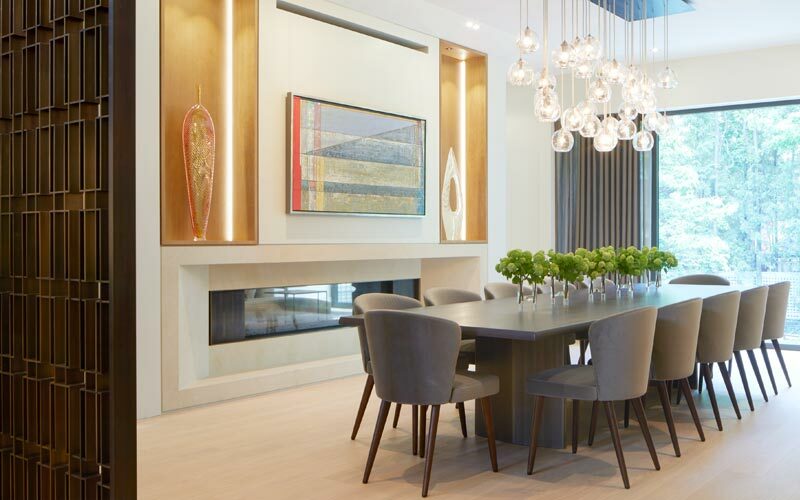 The palette is complemented and enhanced by the incorporation of new furniture and dramatic light fixtures. The double height entry hall features a new cantilevered stair of bronze, stone, glass and leather-wrapped handrail, set against a wall of leather panels. 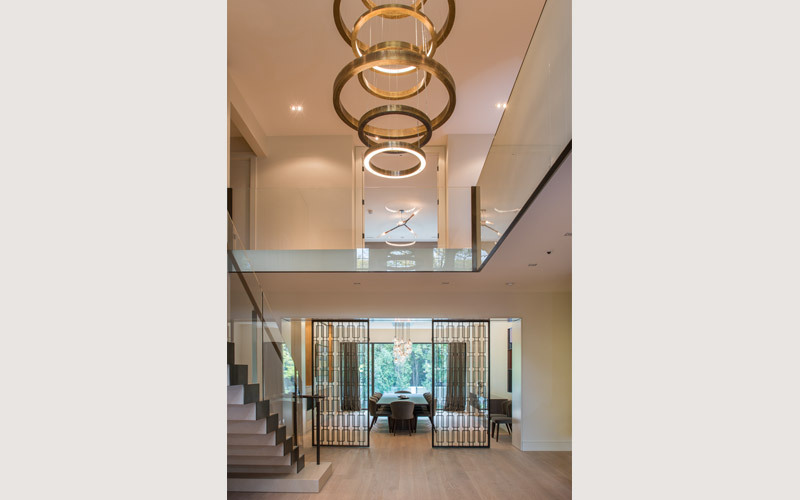 On axis with the entry, sliding custom bronze screens create a permeable separation between the hall and the dining room beyond, and can be fully retracted into the solid walls to extend the dining room for large gatherings. A double-sided fireplace between the dining room and family room incorporates light coloured Loire limestone, bronze and illuminated walnut panelled niches. 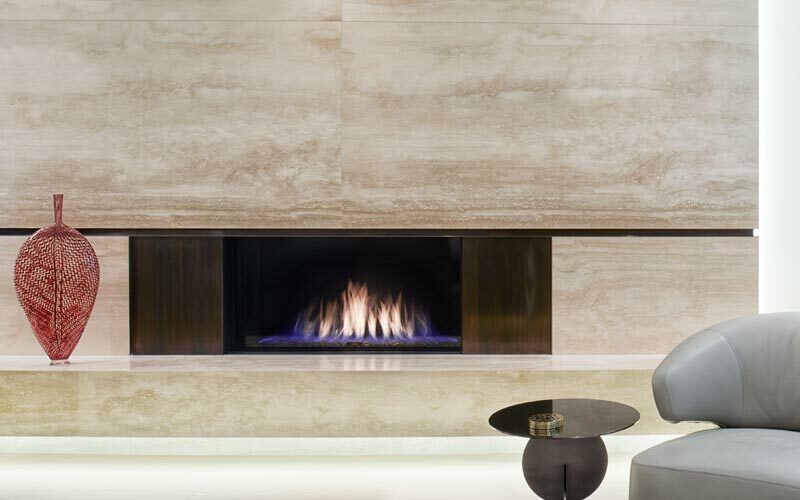 The dramatic living room fireplace is fabricated of large slabs of “silver,” vein-cut travertine and bronze. A sense of understated luxury pervades the new design, made all the more remarkable by the transition from the traditional exterior to the contemporary interior.